FriendGrief: "Living in the Material World"
Thank you, thank you, thank you for this post! I can't say too much more than that, because the friend who passed who brought me to the idea of grief blogging, and following grief blogs, was a huge Beatles fan (like myself, both of us were Harrison nuts.) So, when I attempted to listen to that video you linked to, I was filled with a huge awareness that we won't get the chance to discuss this. That's an ouch, but I like the last line of your post. 'Friends die, friendships don't.' Perfect. Thanks so much for writing about George. When my friends and I were around twelve, we formed a Beatles club. My best friend, Diane, was John and I was George, our favorite Beatles. Ironically, Diane died in a car accident in eleventh grade. She always said John would be the first Beatle to die. 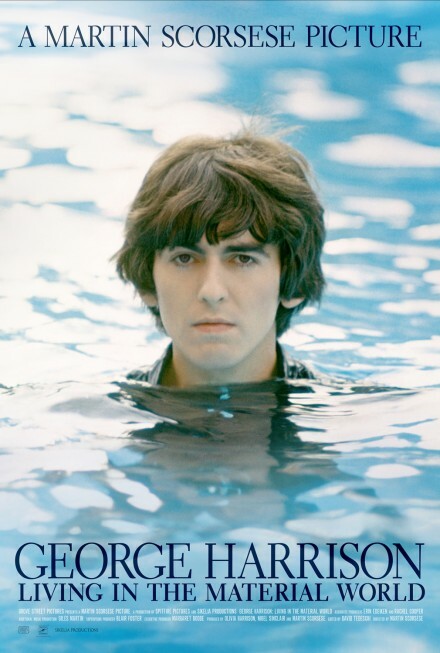 I chose George for some spiritual connection and it turned out he was the most spiritual of the group. I recommend reading Patty Boyd's memoir about her life with George and Eric Clapton. She's a bit of an airhead and didn't seem to understand George, but back then men still weren't that enlightened. I think the way George died was grace incarnate. He really had made peace. I'm glad the documentary is giving an insight to George and showing us the side that people didn't know. Thanks for blogging about him. Yeah, Patty Boyd, what a goofy memoir. This documentary is really good, and I recommend it to any and all George fans. Also love "The Concert for George". In that, too, his friends talk about how it was a way for them to work through their grief. And the music's great! Wonderful review, Victoria. I'd like to see it, but 4 hours? Man that's long. Joe, HBO is showing it in two parts. When the first part ended, I was surprised; didn't feel like I'd been watching that long. Plus, the music is so great, you don't mind. There's sort of a natural intermission, too, so it's not bad. Well worth the time spent!